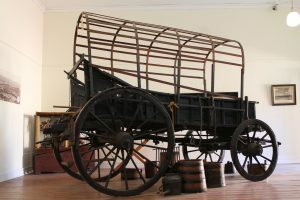 The Oxwagon in the museum originated from the Karoo and was normally used as a provision wagon between Oudtshoorn and Mossel Bay in 1839. The first car in Oudtshoorn was the Panhard, produced by Mr McDowell in 1904, a Frenchman. Doctors from Oudtshoorn used to have a liking for these cars. 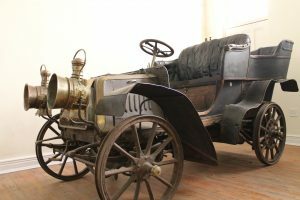 Another unique vehicle, the Schacht, a Dutch model from the year 1909, can also be seen.